While Unreal Engine has been established as a pioneering software for real-time rendering since the late 1990s, it wasn’t until the more recent boom in virtual reality (VR), augmented reality (AR) and mixed reality (MR), that those outside of the gaming world understood its power for industrial applications. As architects, engineers and product designers began to turn to headsets like the HTC Vive and Microsoft HoloLens for unique immersive experiences, they found tools like Unreal Engine 4 (UE4) to be the best way to bring complex computer aided design (CAD) and building information modeling (BIM) models into VR, AR and MR environments. The only issue for these users was, however, the ease with which their data could be transferred into UE4. Once Epic Games, makers of Unreal, caught wind of what industrial users were doing with its real-time rendering software, the company stepped in and created Unreal Studio, a suite of tools for importing CAD models into Unreal Engine to create interactive presentations and visualizations. Epic Games has attracted a number of Unreal Studio and Unreal Engine users applying real-time rendering technology to some unique industrial applications, including VR, AR and MR experiences. But, before discussing exactly what those applications are, it’s worth understanding the details of Unreal Studio. Why Create Unreal Studio at all? Until the creation of Unreal Studio, industrial users of UE4 were involved in a painstaking process of manually transporting data from traditional 3D modeling packages, like 3ds Max and SOLIDWORKS. 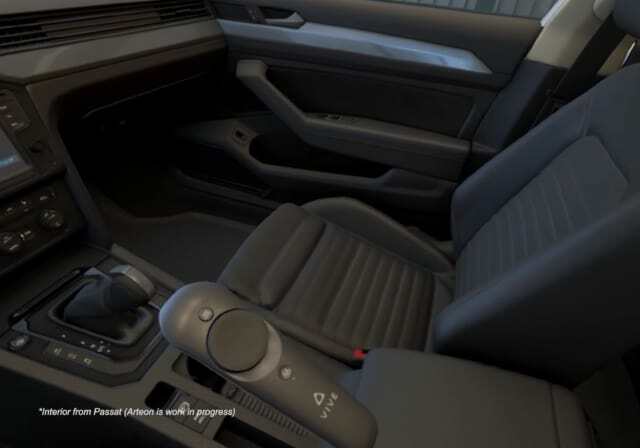 Imagine creating a robust architectural scene or vehicle interior in 3ds Max and then moving the files piece by piece into UE4, where assets would need to be reconnected and pivot points reestablished before creating a VR walkthrough for a client. To ease this process, in March 2018 Epic Games introduced the Unreal Studio beta, a suite of tools that includes Datasmith, a workflow toolkit that greatly automates and eases this import process. Unreal Studio also includes 100 substance materials from Allegorithmic, industry-specific templates, and extensive learning videos on preparing, exporting, and importing scenes with Datasmith. Unreal Studio includes access to Unreal Engine and its component Unreal Editor, making it straightforward for engineers, product designers, architects and others to create AR, VR and interactive content from CAD data without the know-how required to make video games. Unreal Studio is targeted at enterprise markets which include architecture, product design and manufacturing, promising faster iteration time through a more efficient movement of CAD and 3ds Max data into Unreal Engine. The use of Unreal Studio has streamlined the process by which users can begin applying real-time rendering tools to advanced CAD data. A number of customers are now using the software in real world applications. Further demonstrating the potential for VR in the product design space is Sweden-based Animech, who began using Unreal Engine in 2015 out of necessity. The studio was given an assignment to create a visualization of the tallest skyscraper in Northern Europe for a VR Google Cardboard application run by one of its clients. The firm has since gone on to use the software on a regular basis. Most recently, Volkswagen Sweden asked Animech to produce a VR experience to showcase the auto company’s new model, the VW Arteon. Since there weren’t any models yet available for car dealerships, Volkswagen needed to determine how to show the Arteon to consumers before it was finished. This would make it possible to both receive vital feedback about the car and inform potential clients about the Arteon’s features. The result was a virtual configurator, created with Unreal Engine, that allowed consumers to view the Atreon through a VR headset. Within the environment, they could then customize a photorealistic model of the vehicle in terms of features and colors. The selected options would then inform a price quote that dealers could provide once the experience was completed. 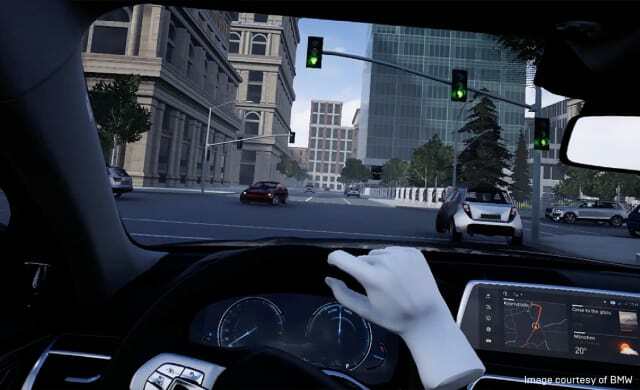 BMW and MINI takes Animech’s VR experience a step further by creating an MR design experience that combines real-time rendering in Unreal Engine with real elements of physical vehicle hardware. As you can see from the video above, the design team at BMW can immerse itself in a design iteration by wearing an Oculus head-mounted display while using cutaway components of an actual car to simulate the tactile experience. This setup makes it possible to for designers to see vehicle interiors, emulate the customer perspective, and collaborate with team members remotely in a virtual environment before moving to the manufacturing process. As a result, the team can more quickly experiment with design before spending money on costly tooling. Similarly, the NVIDIA Holodeck is meant to create a virtual environment in which design teams can fully immerse themselves and collaborate remotely. Its call back to the Holodeck imagined in Star Trek conjures up images of a large CAVE-like setup, however the recently announced NVIDIA product is actually just a VR product design experience that takes place within a headset, like the HTC Vive. To create such an immersive environment, the Holodeck relies on Unreal Engine, making it possible to import full-resolution models with photorealistic textures. As the NVIDIA Holodeck is still in the early access stage, few examples have been publicly disclosed; however, given the current state of long-distance collaboration, it may be that Holodeck will be preferable to the video conference and file sharing generally practiced today. Epic Games released the latest version of Unreal Studio 4.20 Beta, along with the new Unreal Engine 4.20. The latest update to Unreal Studio makes the process of importing, exporting and editing data in Unreal Engine easier and more efficient. This includes the addition of mesh editing within Unreal Engine, as well as metadata exposure and non-destructive re-import of data. While the previous version allowed users to import data directly from more than 20 CAD programs, 4.20 adds SketchUp compatibility, as well. Unreal Studio is currently available in beta with a royalty-free license, so that anyone interested in applying their CAD skills to the world of AR, VR, MR and real-time rendering can do so at no cost. If you’re interested in trying out the beta, visit the product website.